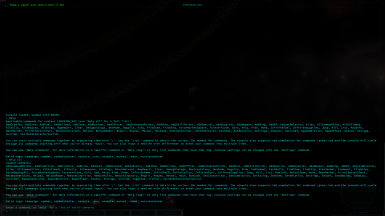 This mod adds a developer's console to Starsector that can be summoned with control+backspace. This (along with many other settings) can be changed by running the Settings command. Other mods can add their own console commands or override base commands; instructions for adding custom commands can be found in a document in the root of the mod folder. A list of commands that work in the current game context can be found with "help", or a full list of commands with "help all". Multiple commands can be run by separating them with a semicolon (;), and a new line can be started with shift+enter. This mod should be compatible with all other mods, and can be added to or removed from a save at any time.